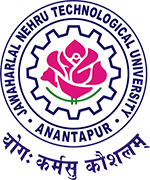 JNTU Anatapur successfully conducted b.tech 3-2 semester regular and supplementary examinations in the month’s of May/ June 2015. Students are waiting for known their exams results as possible as fast. upto now jntua not released any official notification regarding jntuk 3-2 results. 3-2 sem Examinations started from 19-05-2015 (Tuesday) and completed on 04-06-2015 (Thursday). Various branches students are attempted these exams like ece, eee, mech, it, civil, ae,…..etc. Actually results will be published 45 days after examinations completed. so, results available soon at jntua official website that is jntuaresults.azurewebsites.net. when ever 3-2 results will be published at official website or portal we will intimate as soon as fast through facebook page and website. when will u release the results ? please tell the release date. Can you tell me 3-2 result date? Is it compulsory to maintain 45 days for the release of results?